I'm sure that there's much debate around which country has the prettiest girls. I guess the perception of beauty is to a large degree cultural - still, with this in mind, I believe South Africa has somewhat a monopoly in this department. I only have to cast my eyes across our dining room table to have this again confirmed. 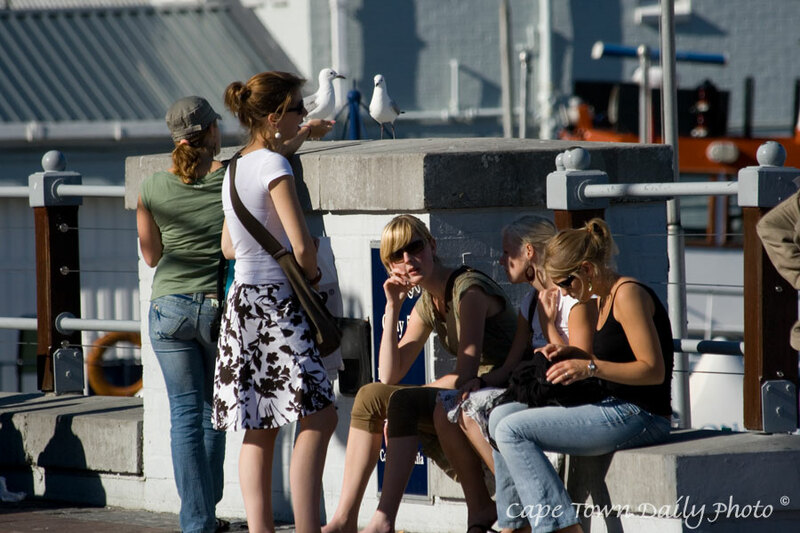 Disclaimer: This photo was taken at the V&A Waterfront and since we have many tourists visiting all the time, I guess I can't assume that the girls in the photo are South African. Posted in General on Monday, 24 September, 2007 by Paul.